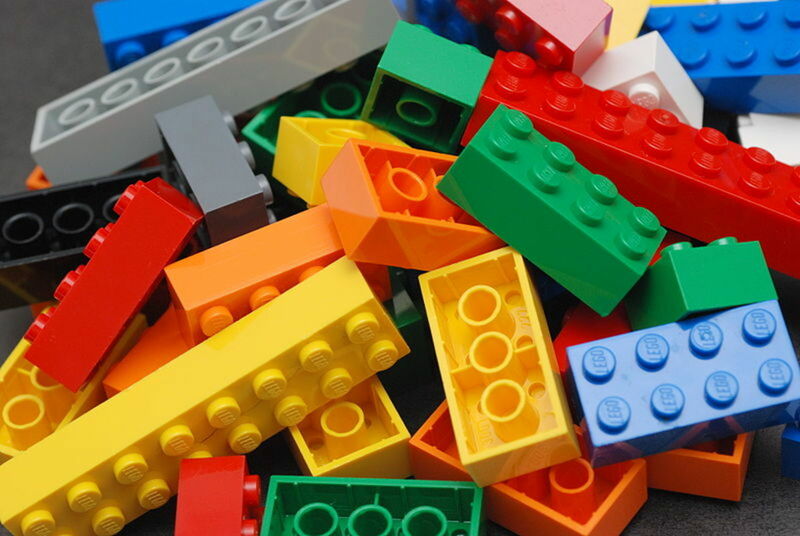 Most moms (and dads) want to encourage their children to build with Legos, but are sick of stepping on them everywhere! 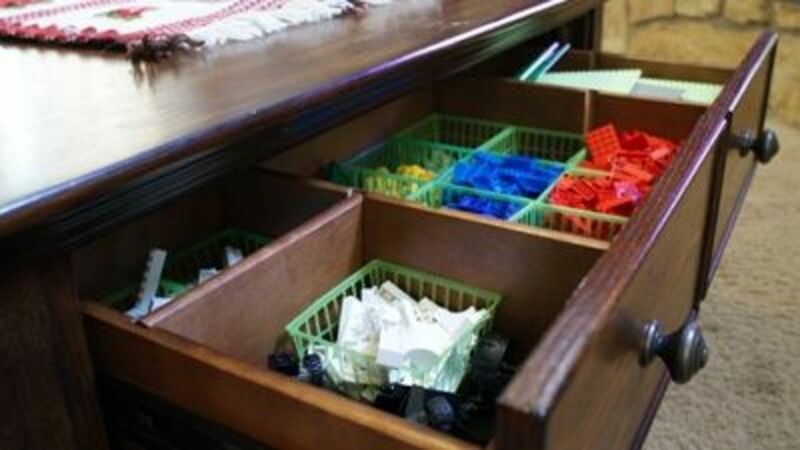 In my house, we devote a drawer of our coffee table to storing Legos. This makes it easy to clean up, and helps keep partial builds together and out of the way while not being used. There are many more creative options out there, though. Here are some of them! Three 15" by 15" Lego base plates. A piece of plywood, measuring 15" by 45"
Affix the base plates to the plywood, and attach the plywood to the plastic storage carts. 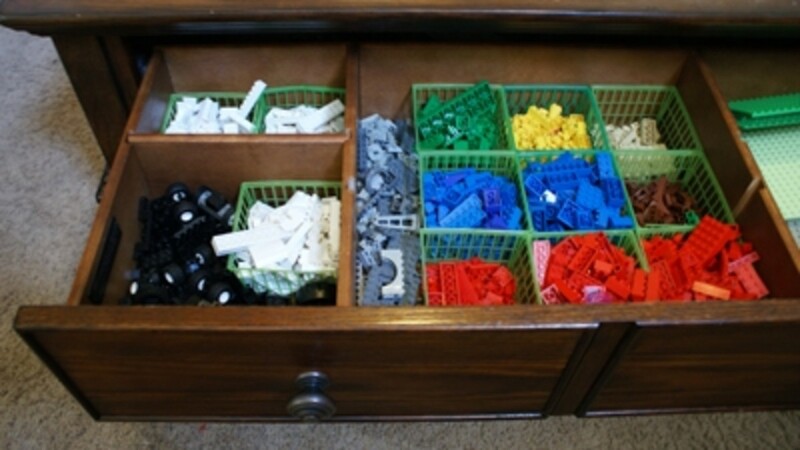 Organizing Legos by color is a great way to store them. 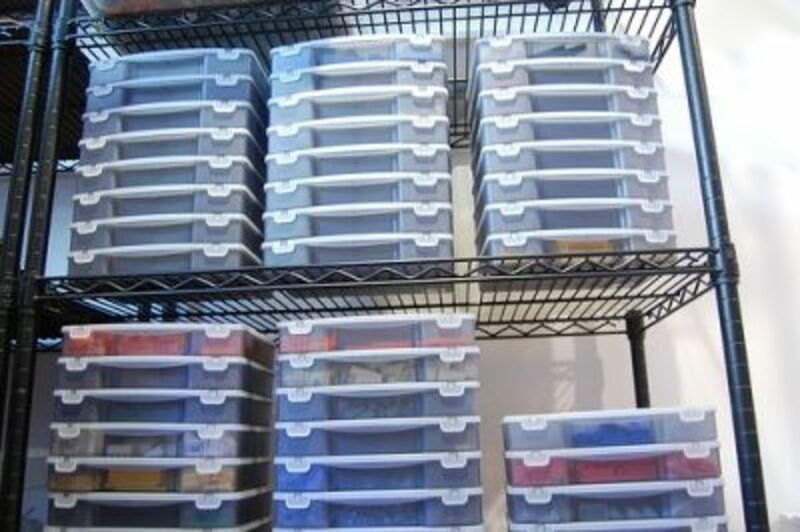 Simply label plastic storage tubs with the different colors. 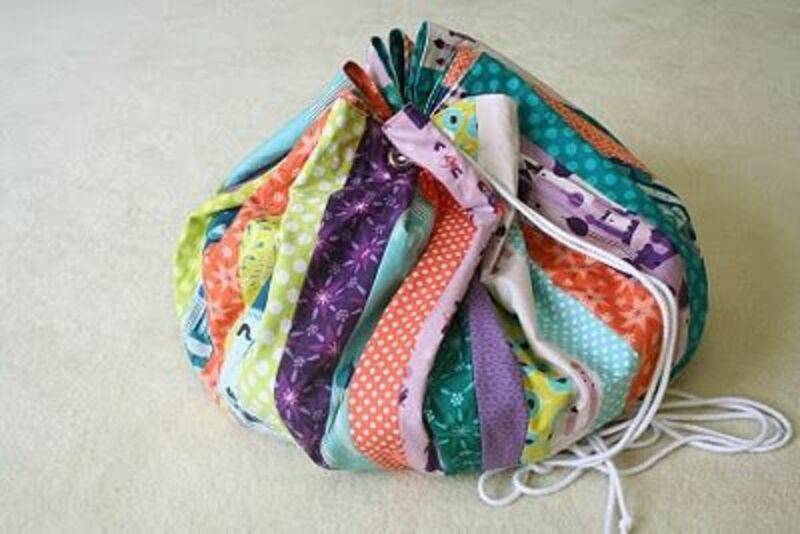 In addition, you can try separating them out by shape or purpose. The pictures below are my storage solution. 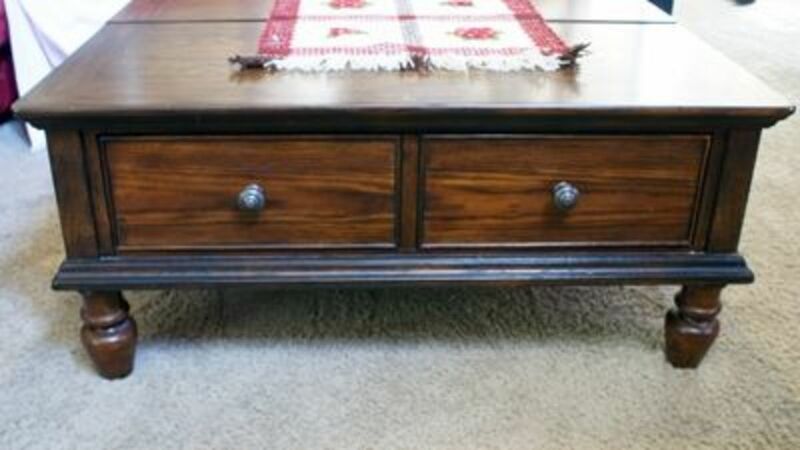 We have a coffee table with large, deep drawers. 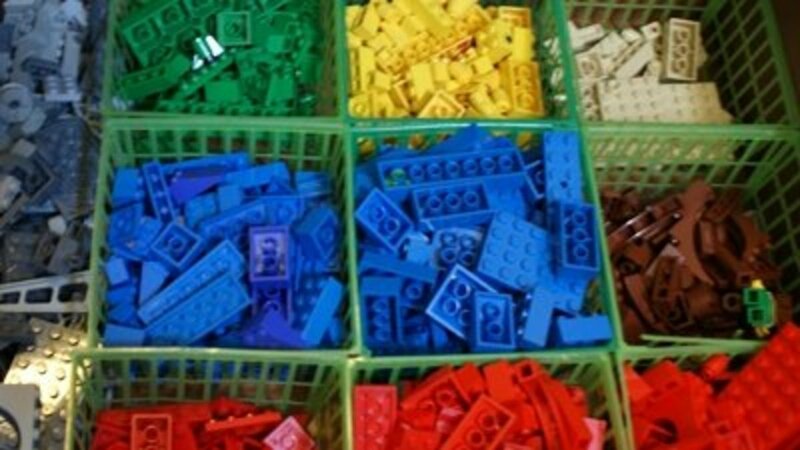 We organize the loose bricks by color into old strawberry cartons and save room for partial builds. It works for us, and when they're put away you wouldn't even know they're there. 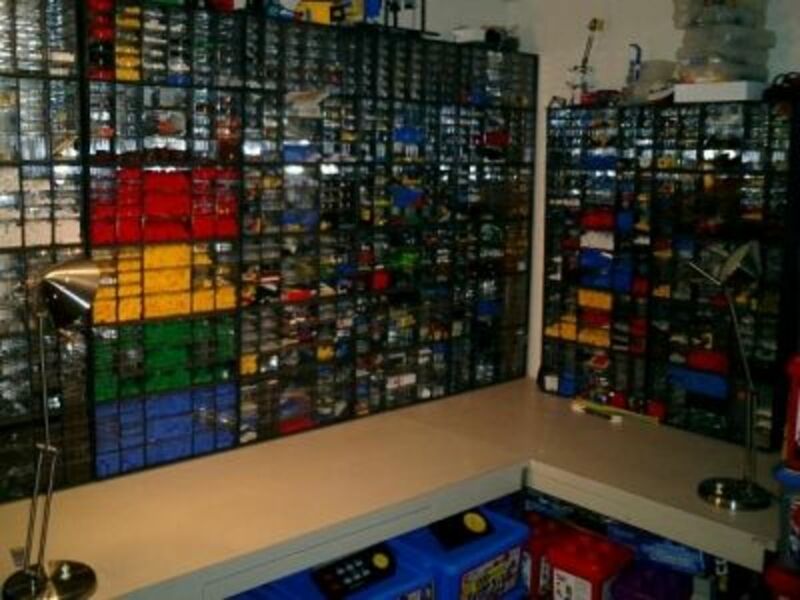 We have room to store our Legos, and also keep the Lego builds we're currently working on in too. Coffee table by day... brick table by night. You'd never guess, would you? 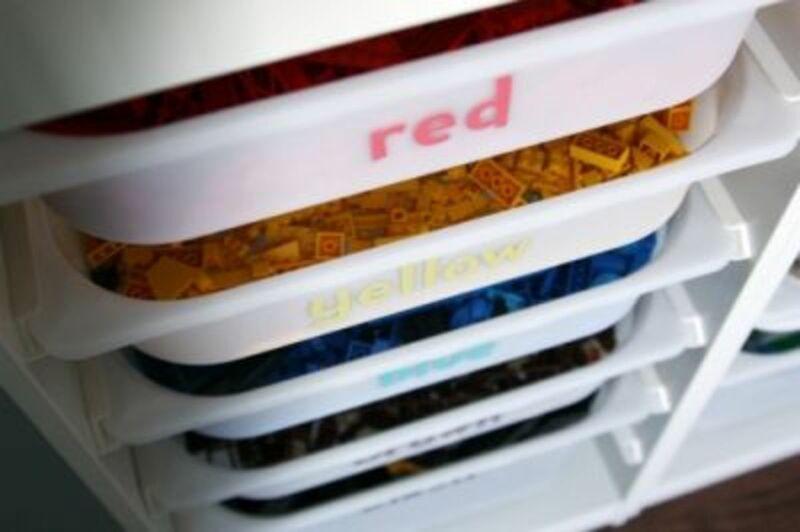 Our current Lego storage system is sorted by color into old strawberry baskets. We'll replace the strawberry baskets with something a little more sturdy eventually. 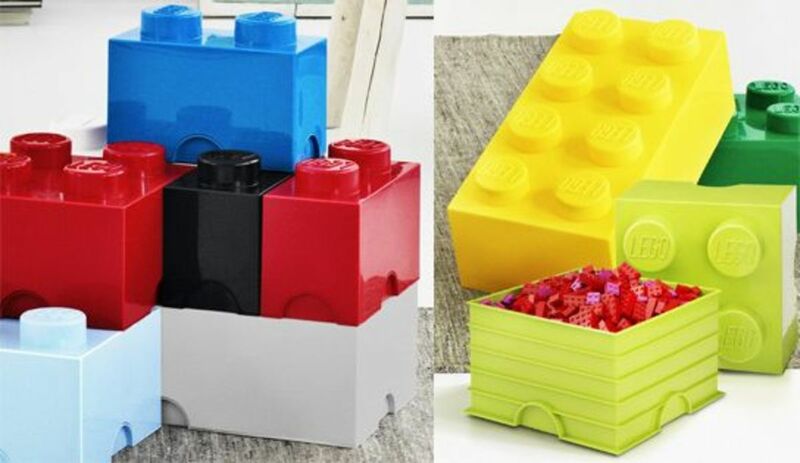 Use colored bins to store Legos on a shelf. 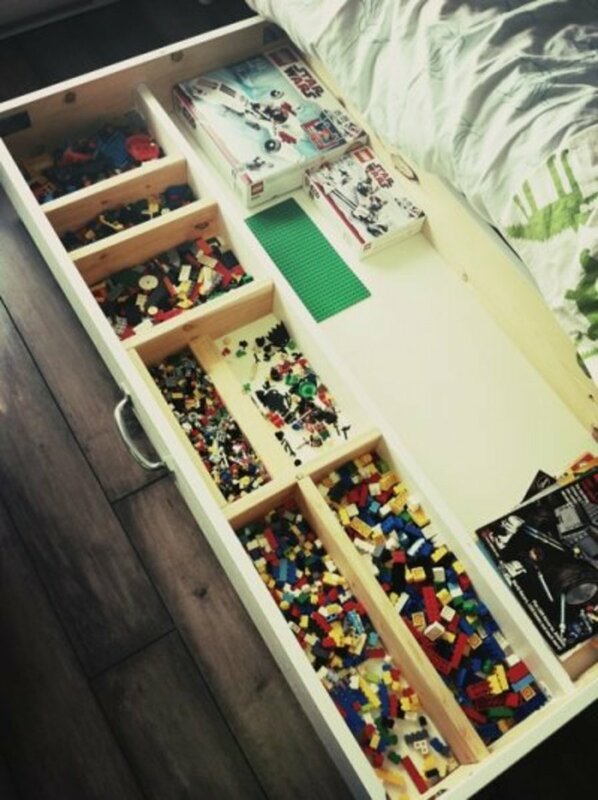 Built-in under-the-bed drawers are great for storing toys like Legos. However, you don't need to have a special bed. You can store anything under the bed with plastic storage tubs, or prettier wooden containers. 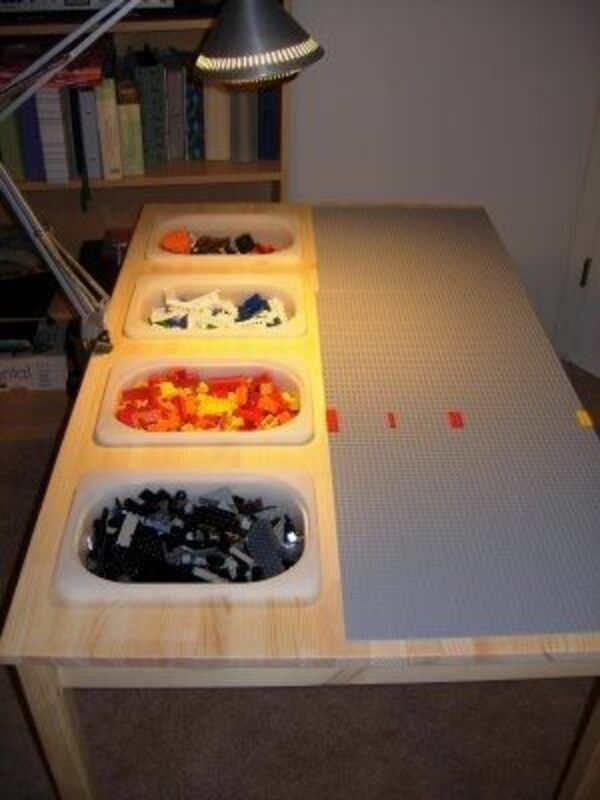 If you're pretty handy, you can turn a plain Ikea desk into a Lego workspace with storage. On one of the tables, use a saw to cut out holes to hold plastic containers, which can be used to store blocks when not being used. 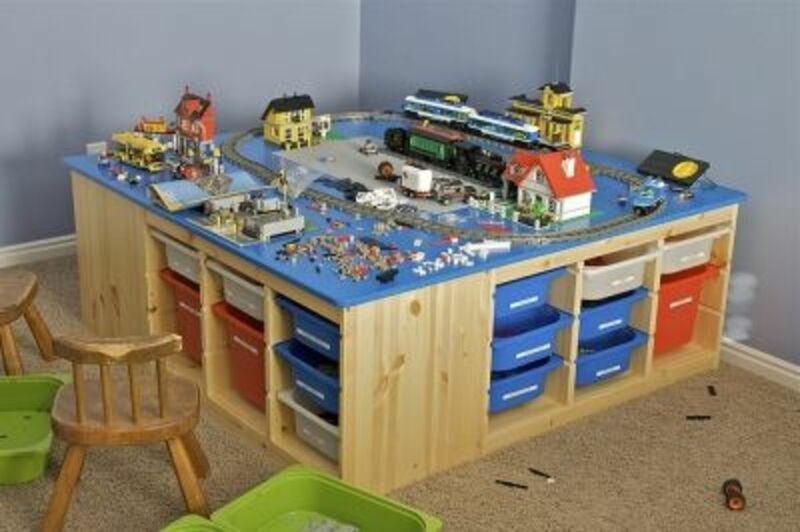 Lego storage desk and play area. 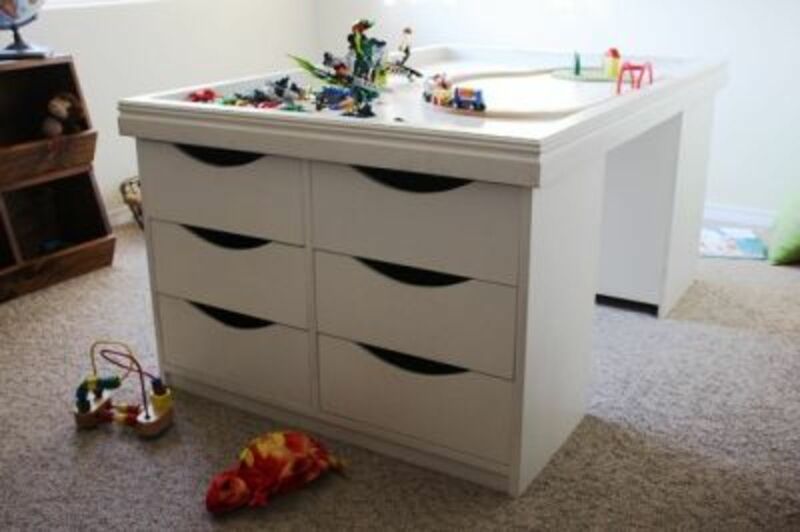 This Ikea hack mixes and matches different Ikea elements to build a play area with built-in storage. The one in this picture is made of low shelving units with a large tabletop. Bags that make cleaning up Legos a breeze. 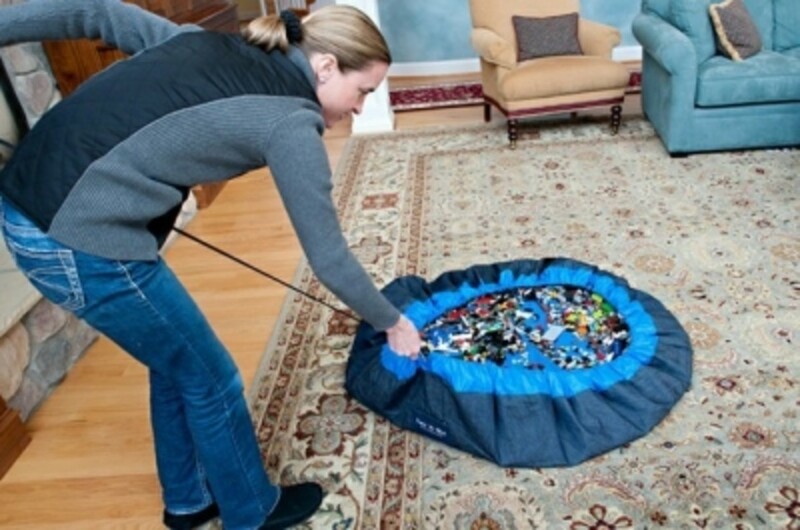 This play mat rolls up into a bag, making clean-up easy. 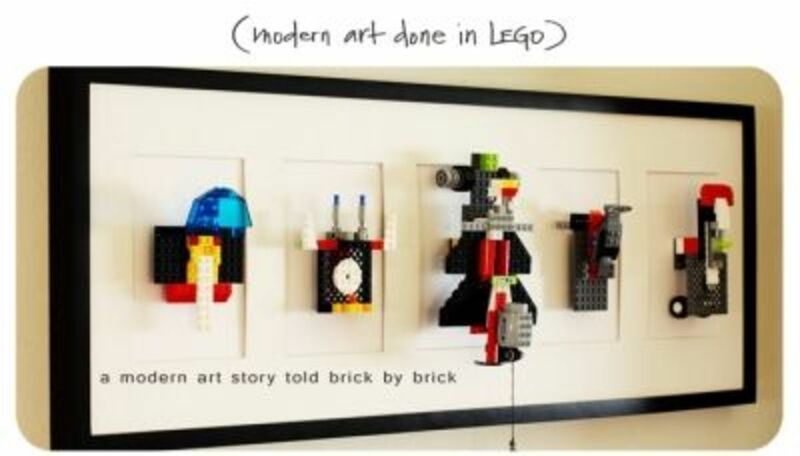 Lego art mounted on wall. 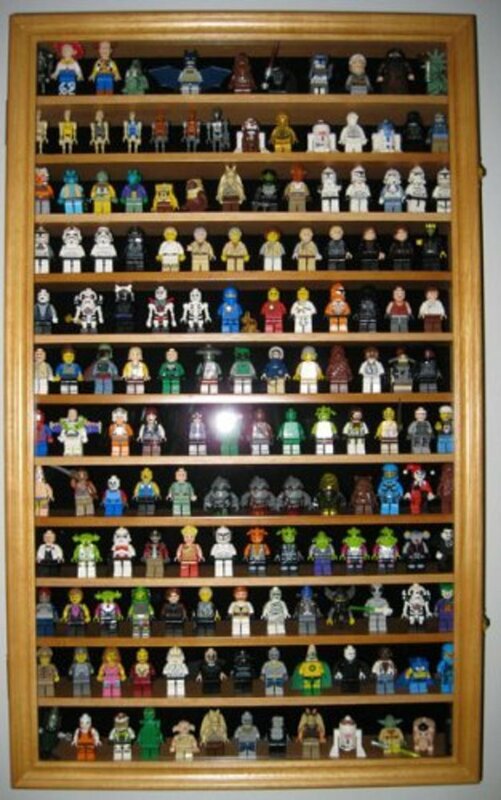 How do you store your Legos? 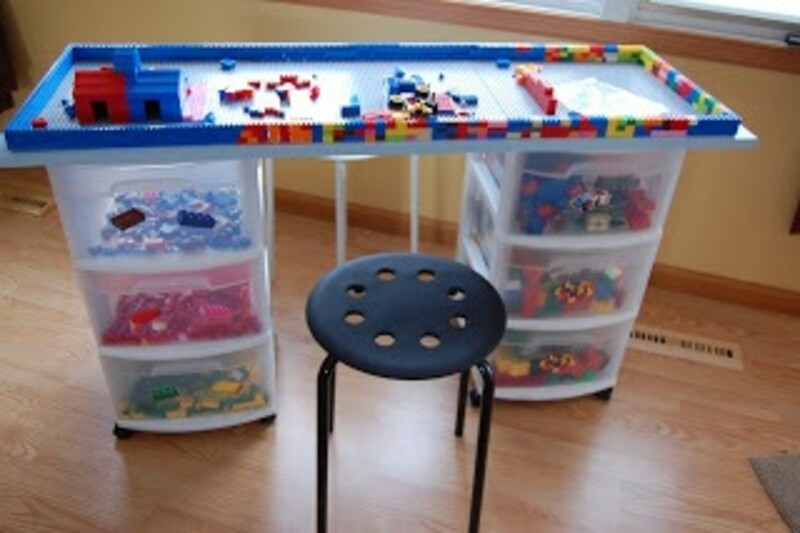 - Do you have a creative Lego storage system? This is great. 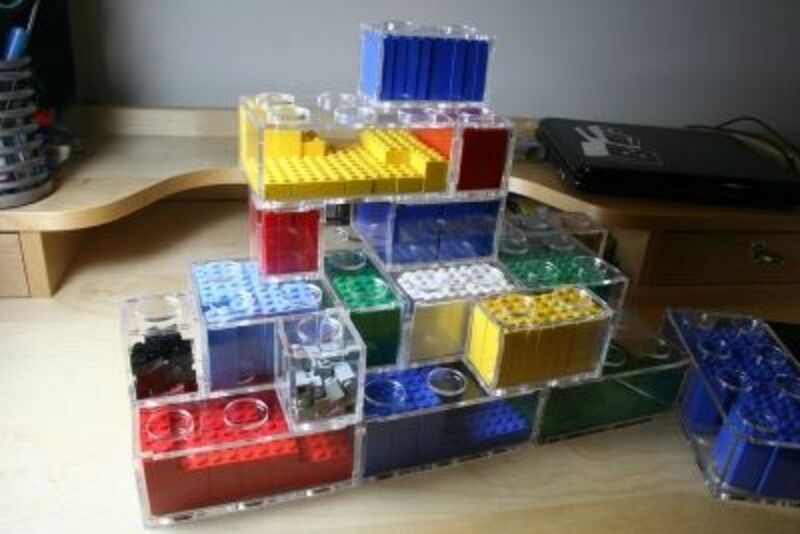 I will try to make the Lay and Go Storage for our Lego blocks. Those are some cool ideas. I'll have to show this Lense to my cousin; he's 25 and still loves Legos! Great selection, we will definitely use something out of that! 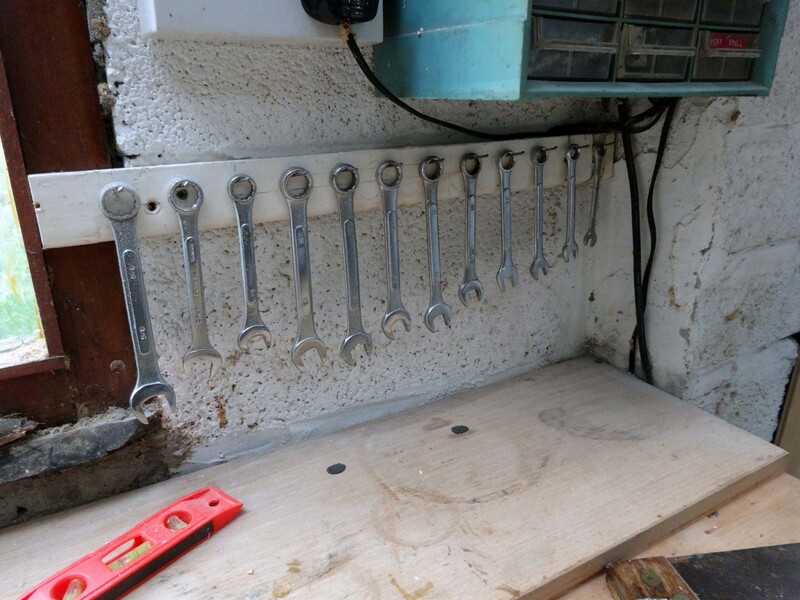 That storage desk is awesome! Mine are still in their original boxes from way back when. The kids are in a large box. 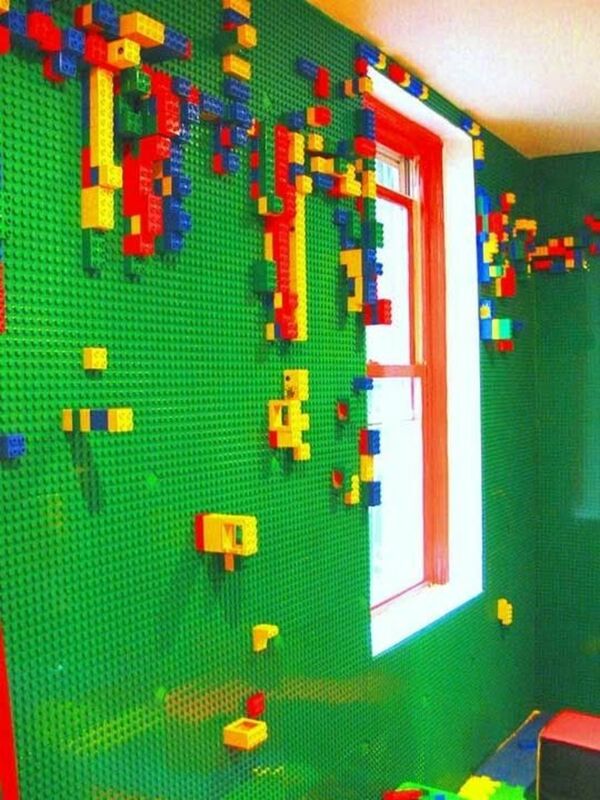 But The idea for the Lego Wall is a great idea. I will be passing that one on to a friend of ours. Cool lens! 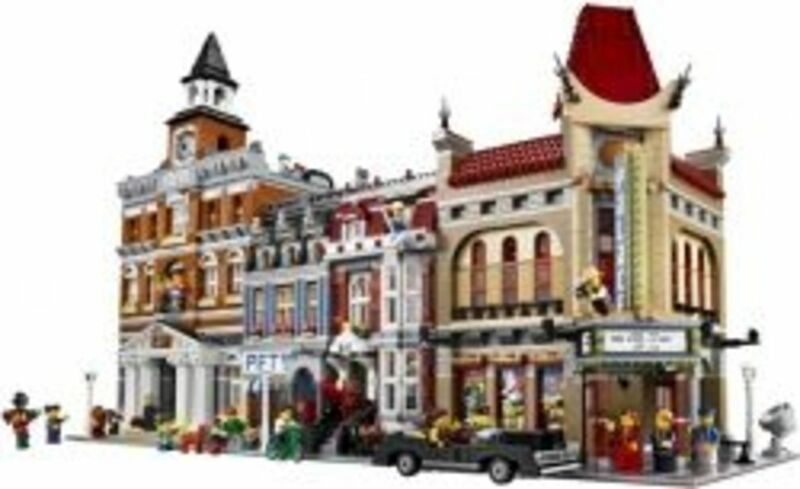 Lets not forget that you can use the storage systems and ideas for much more than Lego... thanks! great ideas! treading on loose pieces of lego with bare feet can be quite painful! Great ideas! We have LOTS of Legos here, and I've been trying to come up with some storage solutions. My son doesn't keep them organized too well, but we keep them in plastic containers and slide them in the closet. 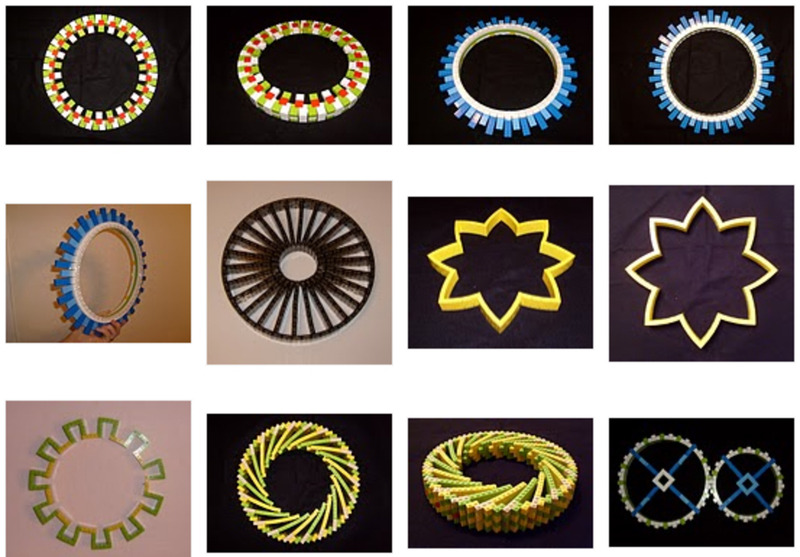 We used plastic shoe boxes you get at the Dollar Store but I really love some of the solutions you found here. 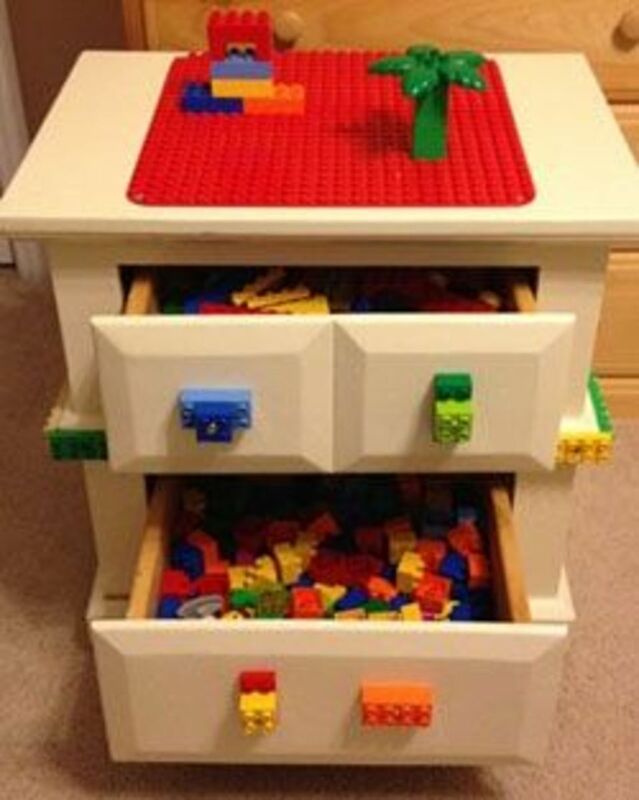 Some great storage ideas. 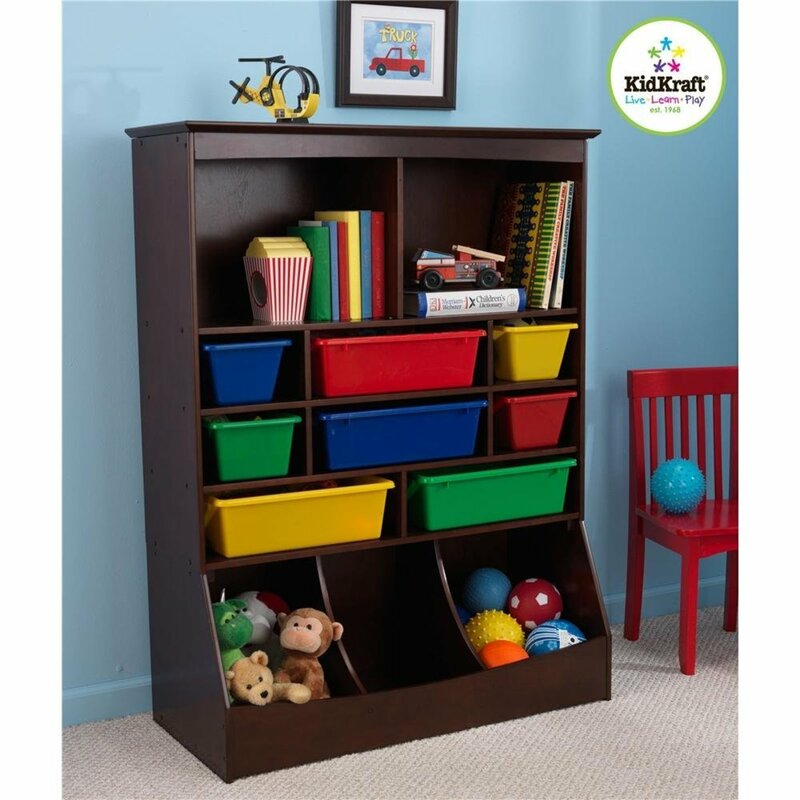 We use stackable plastic shelves that have different size compartments. Nice lens. Great ideas! Our are all thrown together in 1 big tote :( Definitely need to organize!